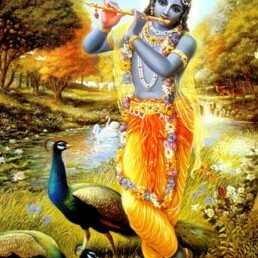 Gainesville , FL has a large Hare Krishna population who has been graciously serving food to the students of the University of Florida for over 50 years. 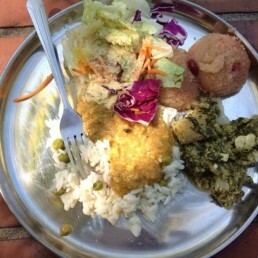 During my time in school there I took advantage of these meals made with love and anyone who has done the same knows the amazingness that is “krishna dressing”. Everyone that I introduce this salad dressing to becomes an instant fan. It’s got some special ingredients that make it so crave worthy and best of all it’s a healthy alternative to other dairy based dressings. 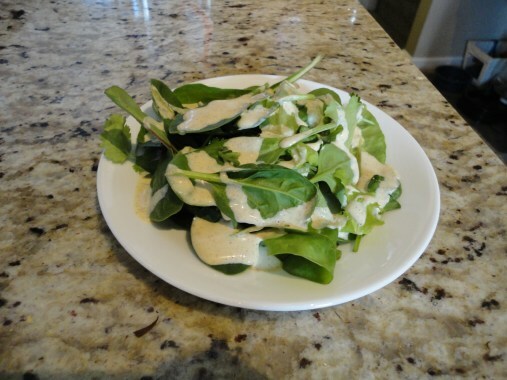 My family likes the dressing so much I double this recipe. 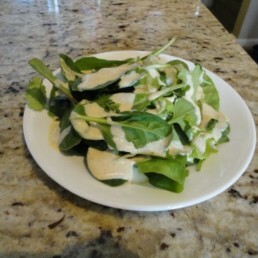 The base of the dressing is almonds and oil. Add all ingredients to a high powered blender. 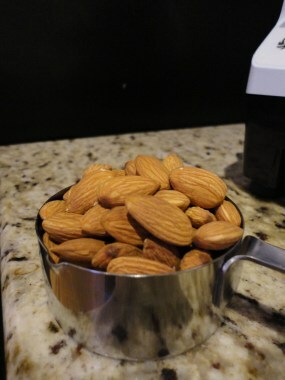 First raw almonds. Next add the olive oil and sunflower oil. If you don’t have both you can use double the amount of one. I think the combination makes it taste most like the original dressing. 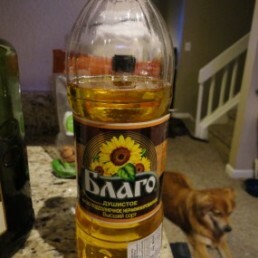 You can find sunflower oil in some local grocery stores or at an international food market. 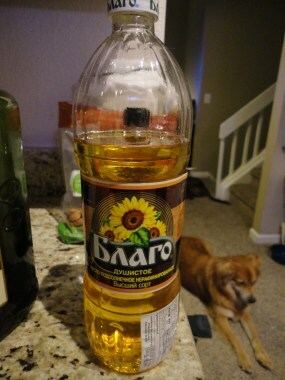 Make sure you purchase the unrefined sunflower oil ( it should smell and taste like sunflower seeds). The next couple ingredients can be a little unusual but are all good things to have in your kitchen. Nutritional yeast is a non active yeast that is popular with vegans because it is a good meat free source of B vitamins. 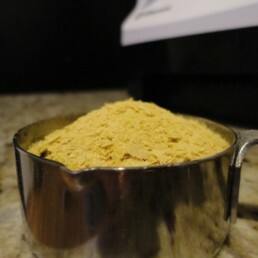 Nutritional yeast can be found at some local grocery stores or at a health food store (usually in bulk). The taste is sort of nutty, cheesy, “umami” flavor. 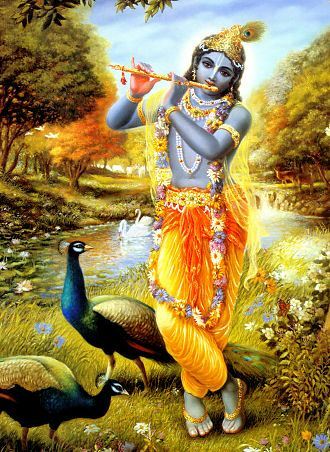 I grew up eating nutritional yeast on my popcorn, sprinkled on eggs and veggies. 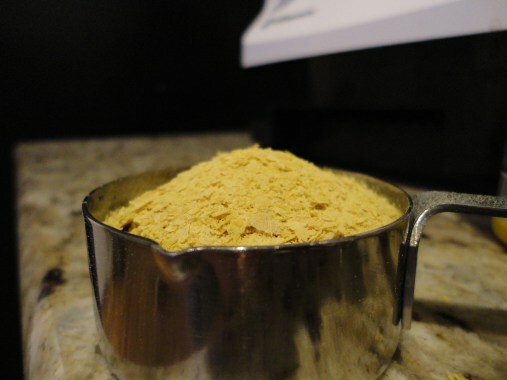 There are lots of great recipes involving nutritional yeast ( I will be posting some more later) but it’s also great to add as an easy topping to a variety of things. 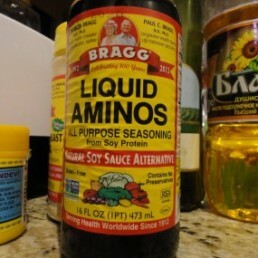 Braggs amino acids is a liquid protein concentrate derived from soybeans containing 16 essential and non essential amino acids. I use it in other salad dressing recipes as well. 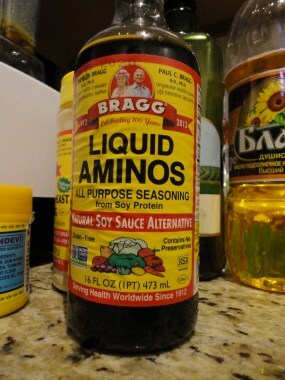 The taste is salty and it can be used as a soy sauce alternative. “Hing” or asafoetida is an Indian spice that is considered a digestive aid. 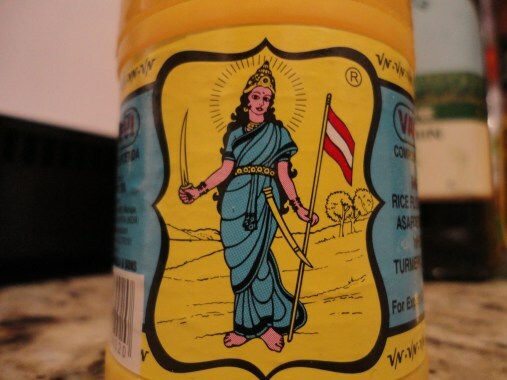 It’s a sort of obscure spice, but it is the vital ingredient that makes the dressing so addictive. 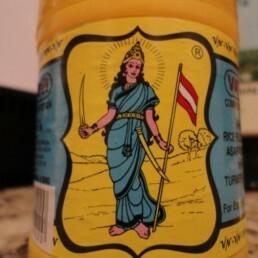 You can get this spice at an Indian grocery or online. The flavor and smell are very unique, but when mixed with oil either cooked or in the case raw it takes on a flavor similar to cooked garlic and onions. 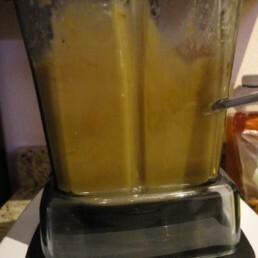 Add about half of the water and begin blending. 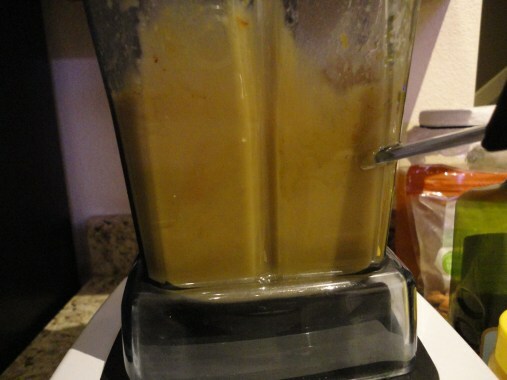 If you just have a regular blender the mixture will be a sort of brown yellow color and this is not what you want. 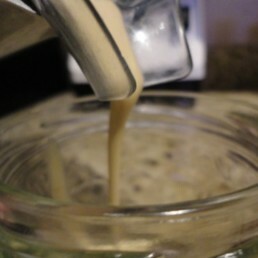 Turn up the power or tamper and the almonds will all puree and the mixture turns a more white cream color. 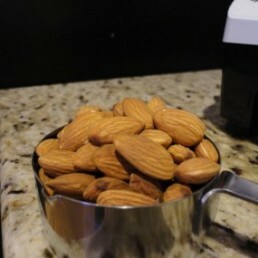 Once all the almonds are ground up add the rest of the water. 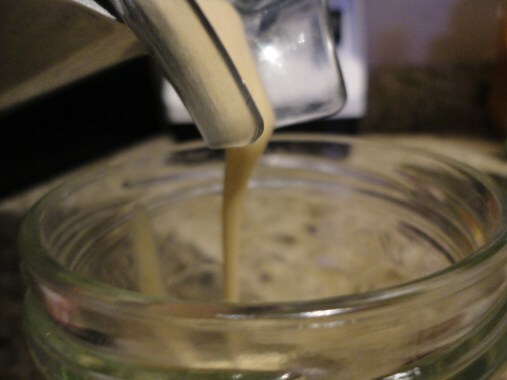 You can adjust the water amount to your desired thickness of the dressing. The dressing will thicken once it sits for an hour in the fridge.